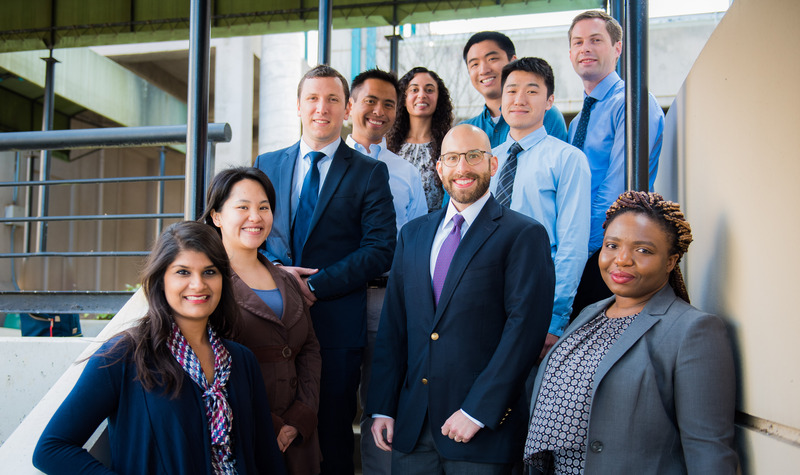 For over 40 years, Nephrology Fellowship Program at UCSF has prepared fellows to become leaders in academic nephrology, superb clinical and basic research scientists, and outstanding clinical nephrologists. We offer comprehensive clinical training in all aspects of adult nephrology: acute kidney injury, chronic kidney disease, hypertension, electrolyte disorders, and kidney transplantation across diverse patient populations. For those interested in pursuing academic nephrology, out program has an NIH T32 training grant that provides support during the research portion of fellowship training. To provide outstanding patient care with compassion and empathy. To heal, comfort, and cure patients with kidney disease, especially underserved and vulnerable populations. To improve healthcare delivery to patients with kidney disease. To advocate for patients with kidney disease in the areas of public awareness, public policy, healthcare resources, and research funding. To conduct cutting edge research in kidney disease that improves patient outcomes. To educate our colleagues and patients in kidney disease as excellent medical educators. To increase interest in nephrology among medical students and medicine residents to ensure a steady supply of outstanding nephrologists for the future. To develop a learning environment rich with proven and novel educational opportunities. To become lifelong learners in nephrology, medical education and research. We value diversity in our past, present, and future fellows. The training program is approved by the ACGME (Accreditation Council of Graduate Medical Education) for 13 first and second year fellows. We typically accept around 6 fellows per year, divided between the research and clinical tracks. All fellows receive a housing stipend (which is $12,100 for the 2018-2019 academic year). At UCSF Nephrology, we are proud of our strong commitment to training the next generation of scientists. Bench-research fellows can receive $40,000 funding support through the "Molecular Medicine in Nephrology” initiative. Clinical research fellows are provided funding to cover the full tuition cost of a Master's Degree Program in Clinical Research. All fellows will have stepwise increase in their salary at the PGY clinical scale during their research years, regardless of external grant funding.